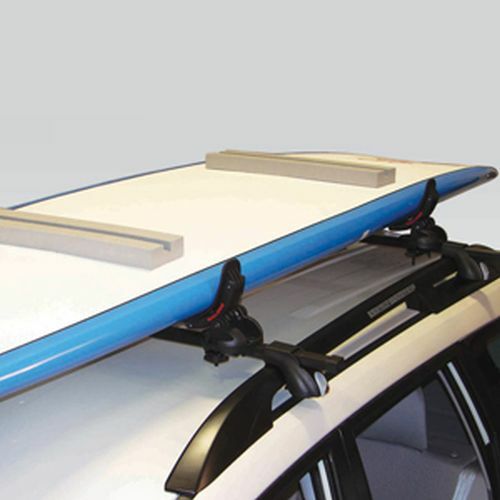 Malone's Raised Railing Mounted Car Racks offer a sturdy alternative for transporting kayaks, canoes, bikes, roof mounted cargo boxes and other long, lightweight items. 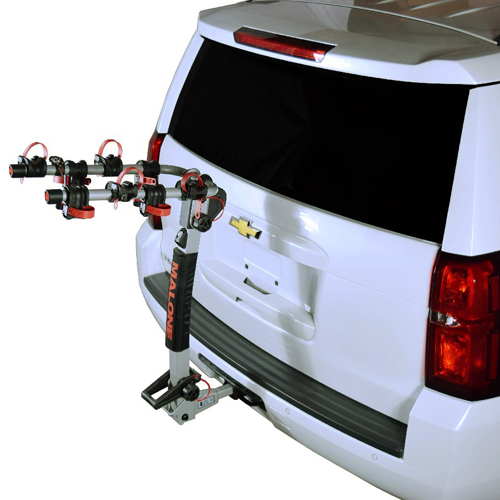 The Malone Raised Railing Mounted Car Racks sit on top of, and clamp around, your raised railings. The Malone AirFlow Aluminum Aero Dynamic Shape Raised Railing Racks are available in 2 sizes: 50" AirFlow2 Aluminum Crossbar Rack and the 58" AirFlow2 Aluminum Crossbar Rack. The rectangle shape racks are available in 2 sizes: 50" Square Crossbar Rack and the 58" Square Crossbar Rack. Both styles are rated to carry the maximum weight rating of your factory installed raised railings. 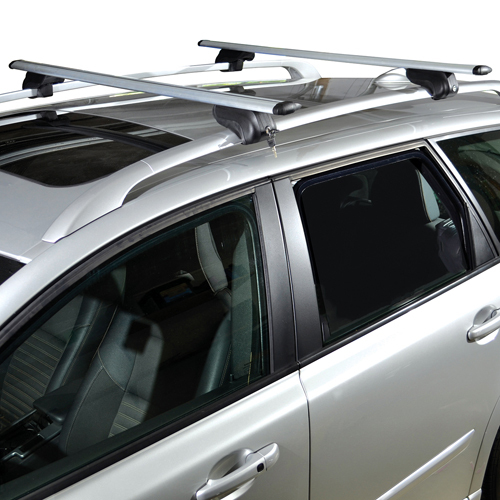 Locks and Keys are included with all Malone Raised Railing Mounted Car Racks. 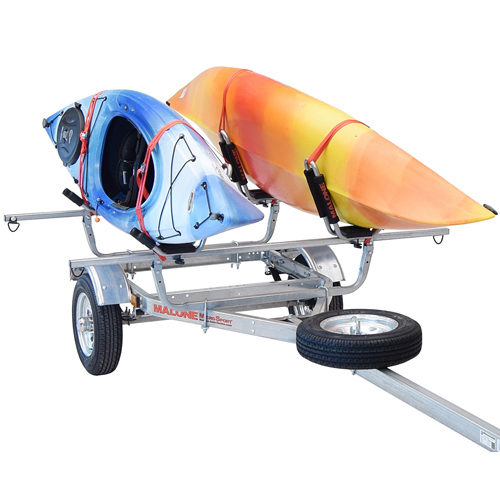 The Rack Warehouse stocks all Malone Roof-top Bike Racks and Malone Trailer Hitch Mounted Bicycle Carriers. 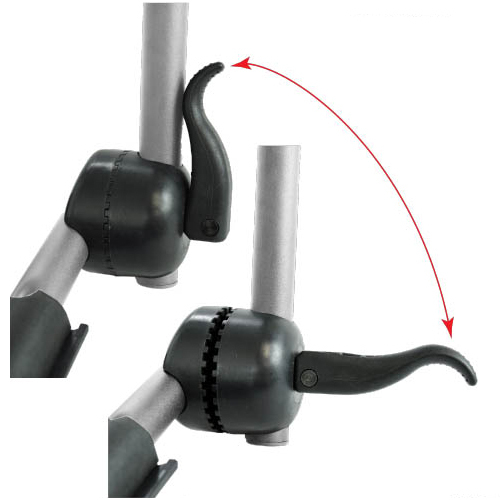 Popular Malone Bike Racks are available for immediate shipping. These bicycle racks are ideal for family outings or trips to the rugged bike trails. You can count on these top quality racks to get your bikes to and from your destination safely, in style, and at an affordable price. 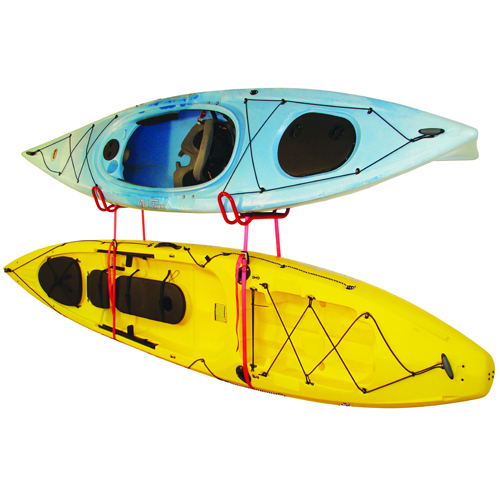 Malone Car Roof Racks like Malone Air Flow 2 58" Universal Cross Railing Roof Rack with Locks, Malone MicroSport Trailers like the Malone MicroSport XT Upgraded Sports Trailer, Malone Car Roof Top Kayak Racks like the Malone J-Loader Kayak Carrier, and Malone Canoe Racks like Malone Big Foot Pro Canoe Carrier are in stock. All of Malone's popular rack products including Auto Loader, Down Loader, SeaWing, Stax Pro, Stinger, J Pro and J Dock are in stock. Be sure to visit our Awesome Deals Page! for rock bottom prices on new returned items, store display racks and closeout items.